October 01, 1998 to January 01, 2004 study of business administration and information systems at Chemnitz University of Technology. Main focus on Controlling and Artificial Intelligence. 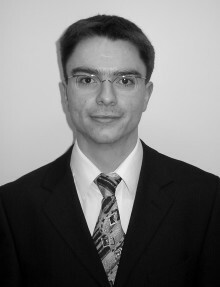 since January 1, 2005, technology advisor of the web design company steig-ein.com. since April 1, 2009, technology advisor of the Schuengel Metal Systems GmbH. Monitoring of the production-related processes. Further development of the expertise for the coating of alternative construction materials, as for example temperature sensitive metal compounds (alucobond) or wood. Integration of dynamic contents in the website www.enocean.com. cofis.net - Development of a prototypical information system for a virtual financial enterprise (research project; presentation at the WIIF 2001).